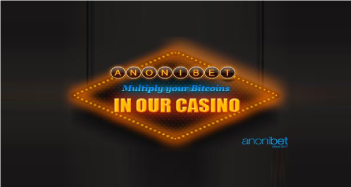 Anonibet is a top-rated sportsbook across multiple review portals and bitcoin forums. Okay, reviews over. Go sign up now, okay? But, seriously, based on my research they’re a solid sportsbook. And they’ve been online since 2011 – not like these other guys that have been online for 3-12 months. They’ve been around the block a time or two. And in the online space that says a lot. 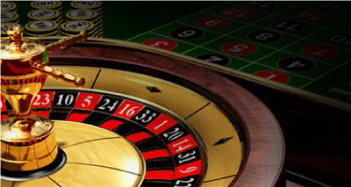 Below is our overview of their sportsbook with a taste of what you’ll find in their casino. If you’re looking for an American-friendly sportsbook with a deposit bonus, casino games and active (support) staff, you should give it a read. Anonibet has a couple of neat promotions running right now. The first is their 10% deposit bonus. This isn’t a one-time bonus, though. This offer is good for every deposit you make for live. There are no limits. 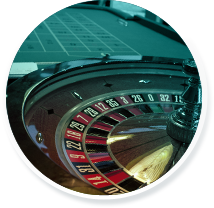 Keep in mind that you cannot withdraw the bonus – you can only withdraw your winnings. And the best part – you only need to rollover the deposit plus bonus one time. The other offer they have going is a 10% cash back option. With this you’ll get 10% of your losses back each month so long as you make more than 100 bets at .01 BTC or higher. If you make fewer than 100 bets you can still get 5% of your losses back. Anonibet only works in bitcoin. But what they do let you do is choose if you want your account to display in USD or in bitcoin. The min. deposit is .001 BTC. They offer live betting, too. This is a smaller selection of markets compared to other books – even with the live betting options included. But the core sports are covered which should make most people happy. And you will have a decent number of betting options. Bear in mind it will depend on the sport / game you bet on, though. The minimum bet here is .001 BTC and the max will vary from sport to sport. You’ll find out for sure when you fill out the betting slip. The one thing I like most about their backend is their dropdown menu. This is where you’ll find all the bets, leagues, time ranges and so on. I think this will make finding and placing bets much faster. They even have a dropdown menu for their lists of odds. You can choose whatever price you’re willing to pay. So, that’s pretty cool. This is the first sportsbooks I’ve seen like this. Other than that you can use your same player account in their casino. They have more than 100 games and one of the largest selections of video poker and blackjack variations I’ve seen – at least for a bitcoin casino. Well… some forums (like BitcoinTalk.org) give these guys an A.
I disagree. I give them an A-. I think having more expensive lines and banking delays deserve a lesser grade. But that doesn’t take away from the fact that they’re a solid book. That much should be obvious. So give them a shot – I think you’ll be glad you did.